The first national forest biomass map of the Democratic Republic of Congo (DRC) is now available. The map was produced by experts of the World Wide Fund for Nature (WWF) through the financial support of the German Federal Ministry of the Environment, Nature Conservation, Building, and Nuclear Safety and KFW Development Bank. “This new national biomass map is a significant step for the DRC. 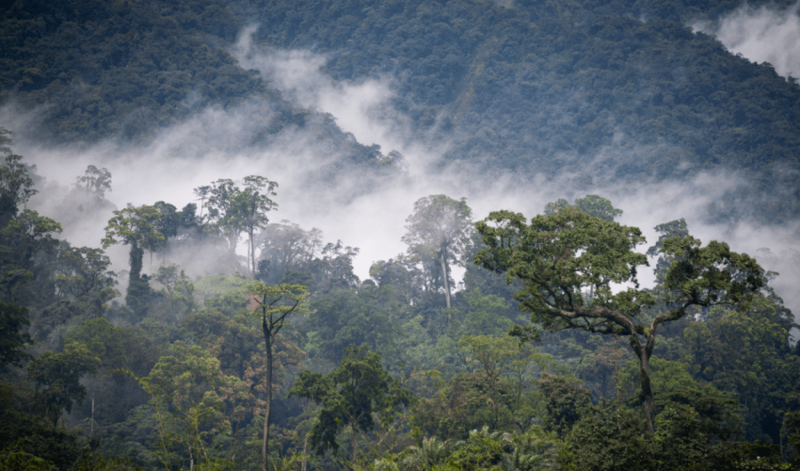 It will fill important knowledge gaps on the second largest tropical forest in the world, including its potential role in mitigating global climate change,” says Bruno Perodeau, Conservation Director of WWF-DRC. The national forest carbon map is a living map which can be updated and improved by integrating new data and information. This national map effectively estimates the carbon stock stored in every hectare of DRC’s forests, supporting national efforts to monitor forest cover and facilitate the assessment of carbon emissions from deforestation, to receive eventual payments from REDD+. This map is valuable at the local, provincial, national, and international levels. It allows a new understanding of forest carbon stock in the country and also significant Congo Basin forest types, and can be used as a baseline for other activities, including conservation planning, and new land use planning projects which have been recently launched. It will also support the current efforts towards numerous REDD+ initiatives implemented by the government of DRC since 2009 while facilitating the investments into jurisdictional activities in support of national emissions reductions. Deforestation and degradation produce about 20% of global greenhouse gas emissions. In Africa, where more than 60% of Congo Basin forests are found in DRC, the success of the international initiative known as REDD+ (Reducing Emissions from Deforestation and Degradation) is essential to supporting efforts to reduce global climate change. The evaluation and assessment of national carbon emissions from deforestation and degradation require precise and detailed estimations of the carbon stock contained in forest vegetation at the national scale while considering the differences in all types of forest. Until now, the available carbon data sets for the DRC did not have sufficient accuracy or detailed resolution to realistically and accurately assess carbon stock for calculating potential emissions reduction. Burning grasslands near Kikwit, Democratic Republic of Congo. Image captured on March 3, 2016. Image ©2016 Planet Labs, Inc. The mapping component of the project employed a method developed by Dr. Sassan Saatchi of UCLA. This methodology comprises a stratified random sampling approach for collecting airborne LiDAR (Light Detection and Ranging) data, selected for its high precision estimates of above-ground forest structure, as well as cost-effectiveness for collecting detailed data in vast, remote and inaccessible regions of the DRC. 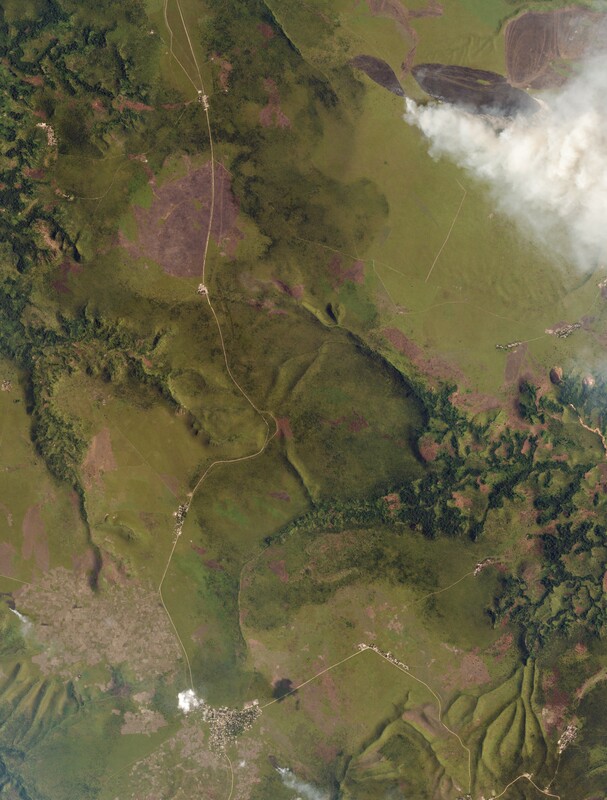 This technique has allowed a quantitative evaluation of forest carbon stock in all forest areas, particularly those of the province of Mai-Ndombe, where the first emissions reduction pro-gram in Africa was established. This program will contribute to efforts to fight climate change, while reducing poverty through sustainable development activities. LiDAR is a remote sensing tool which uses laser light similar to a radar system. It determines very high precision distances from the sensor and accurate positions of forest structure ele-ments in three dimensions. This instrument was mounted on an airplane from Southern Mapping Company, who produced the raw data for the biomass assessment. The airborne data collection campaign was executed between June 2014 and February 2015. The collection included 216 plots totalling more than 430,000 hectares of LiDAR measure-ments. Additionally, ferry data collected in between plots increase the data extent to 580,000 ha. Upon this data collection, the DRC now possesses a comprehensive dataset available for a number of other research activities. The forest inventory data were compiled from many partners and stakeholders, including the DIAF. 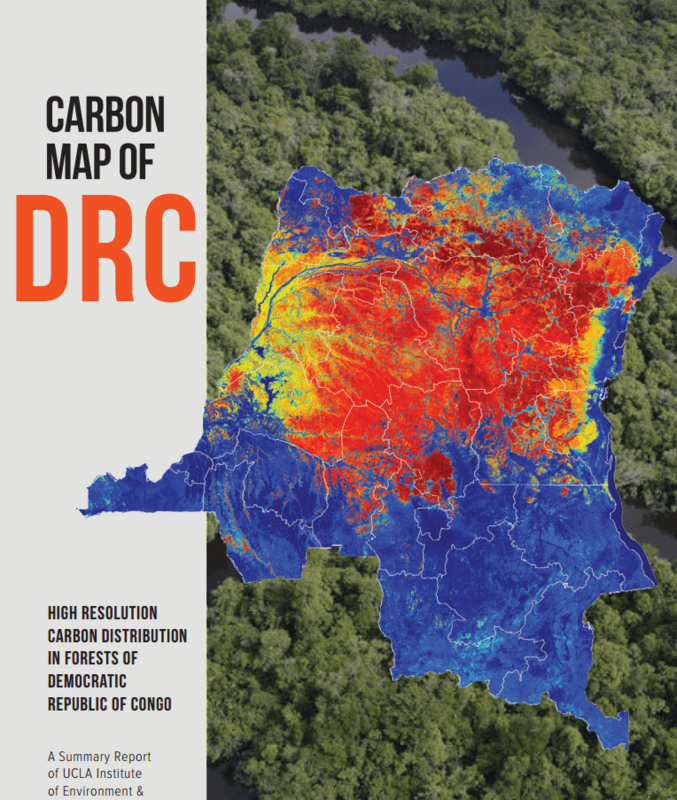 Through this collaborative effort, the DRC has become the first African nation to pos-sess a national biomass map of this accuracy, developed from LIDAR observations. This experience will serve as an example for other Congo Basin nations who wish to establish base-lines and reference levels to reinforce their deforestation monitoring activities. In 2012, the Ministry of Environment of the DRC, WWF, and partners such as the University of California Los Angeles (UCLA), Southern Mapping Company (SMC), and the Observatory of Central African Forest (OSFAC) launched the Carbon Map & Model (CM&M) project. One of the key deliverable of this project is the carbon map of the DRC.